To listen to the full audio version of this story, please visit KWED. 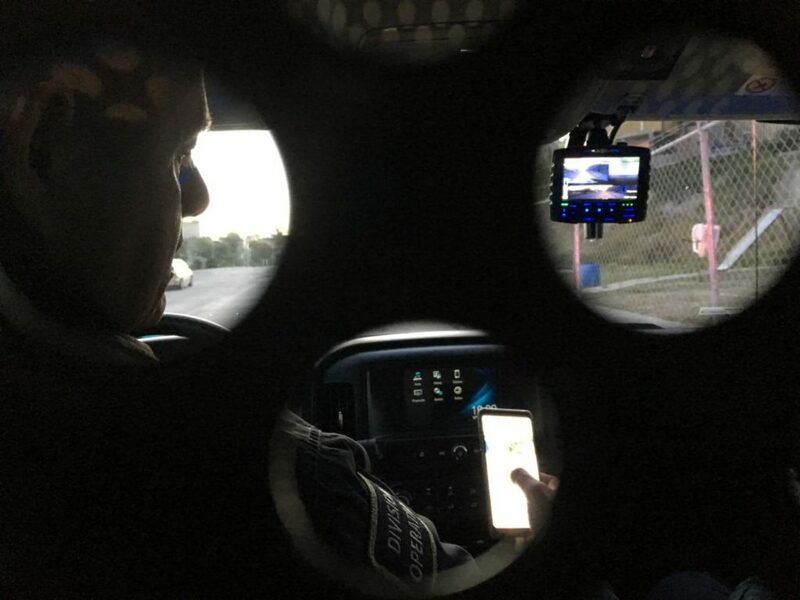 As dusk fell on the steep hills and canyons of Tijuana, a unit of the Baja California State Preventive Police cruised through one of the city’s toughest neighborhoods, in the south-central part of the city. In a bulletproof vest with a small icon of a skull on the chest, Officer Manuel Martínez drove down a gritty avenue in the first of the unit’s two reinforced pickup trucks. His partner, Officer Alfredo Rodríguez, conferred with a dispatcher over the crackling radio. Then he gestured out the window at the side streets. Tijuana was declared the most violent city in the world this month, by Mexico’s Citizens’ Council for Public Safety and Criminal Justice, which lists the Top 50 cities with the highest number of homicides per capita. This fast-growing border city suffered 2,519 homicides in 2018. That’s 40 percent more than in 2017, which was already a record-breaking year. And it’s almost three times as many killings as in the worst previous spike of violence Tijuana suffered between 2008 and 2010. At the core of the violence is the drug trade, and the fight for turf. Over the past dozen years, organized crime groups such as the Sinaloa Cartel and the Cartel Jalisco Nueva Generación have vied for control of Tijuana, making alliances with remaining factions of the once-dominant Arellano-Félix Cartel, and then fragmenting, re-forming and battling each other, according to police and criminal justice experts. Situated on the border with the United States, Tijuana has always been a prize for smugglers. But in the past decade or so, a new market has emerged. In distressed neighborhoods like Sánchez Taboada, drug dealers can make a fortune selling crystal meth on street corners, out of mom-and-pop convenience stores, and the parking lots behind local bars, he said. 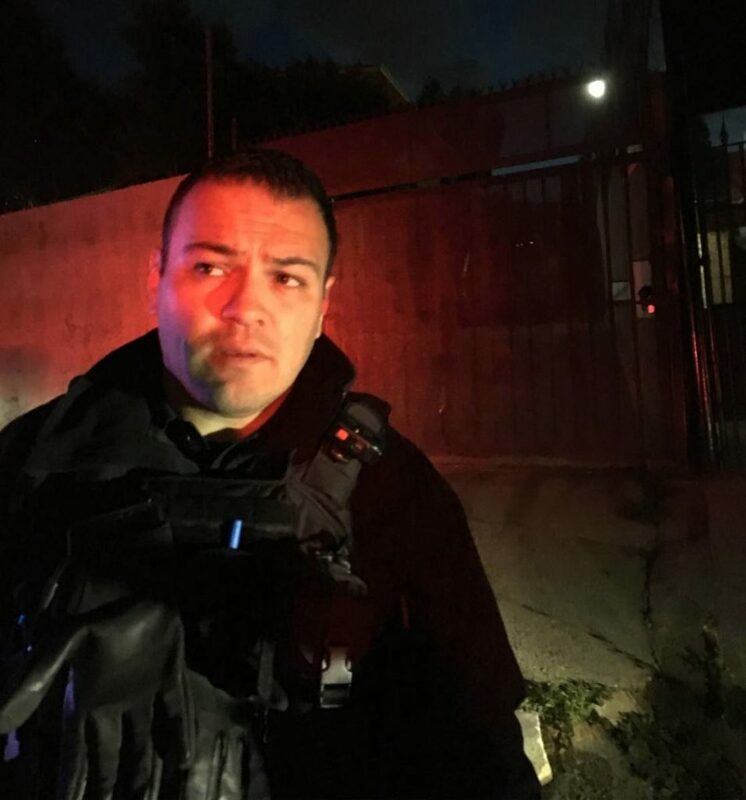 Rodríguez and Martínez have been on the force for about 15 years, long enough to see changes in the dynamics of violence in Tijuana. Back around 2008, the battle between cartels involved sensational brutality, with bodies hanging from bridges, beheadings, kidnappings and heavily armed convoys of cartel foot soldiers. Nowadays, murders are more likely to be committed by a single man with a handgun, who gets away in an inconspicuous Japanese sedan, the officers said. The killing takes place block by block, with rivalries between local cells in neighborhoods like this. The violence got worse in the power vacuum left after Sinaloa crime boss Joaquin “El Chapo” Guzman was extradited to stand trial in the U.S. in January 2017, said Professor David Shirk, an expert on criminal justice in Mexico at the University of San Diego. The strategy of the Mexican and U.S. government to target the top leaders of criminal organizations has led to a breakdown in cartel hierarchy and discipline, he said. On the streets of Tijuana, even elite forces, such as this state police unit, struggle to keep up. As Martínez patrolled, a call came in from a dispatcher. Martínez flipped on his lights and siren and raced up a steep, rutted street — in search of a house where a man had been found dead, with a bag over his head and a pool of blood beside his body. At each unmarked intersection, he and Rodríguez debated which way to turn. Finally, Martínez stopped the truck. He couldn’t find the house. “Didn’t he say there was a little store nearby — or some kind of commercial center?” he asked. The officers called the dispatcher back, and consulted maps on their cellphones. Then Martínez put the truck in gear and, with sirens blaring, he barreled back down the ravine and up another hill. Again, he stopped and consulted with Rodríguez. Finally they ran into a local Tijuana officer who gave them directions to the crime scene. Ten or 15 minutes after the initial call, Martínez and Rodríguez rolled up to the crime scene. 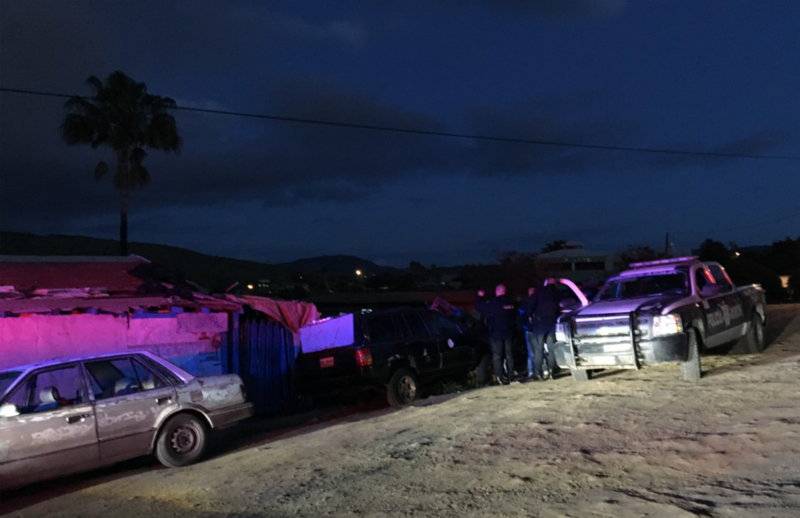 The Tijuana municipal police had gotten there first, so they took charge of the case, securing evidence and interviewing witnesses. The state police officers stood sentry, with rifles at the ready. Then they climbed back into their pickup truck and continued on the night’s patrol.